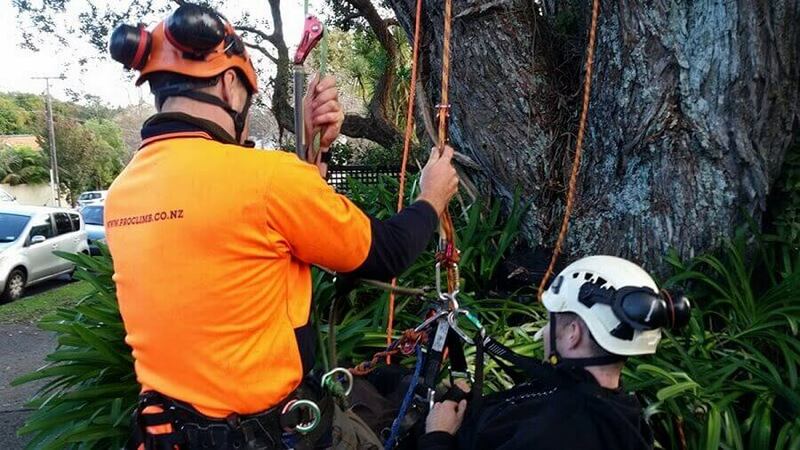 Tree climbing operations must only be performed by people with suitable training, experience and expertise. Holding a Certificate of Competence relevant to the task they are performing. It is important to note that a Certificate of Competence is not a measure of experience. The inexperienced must be adequately supervised. 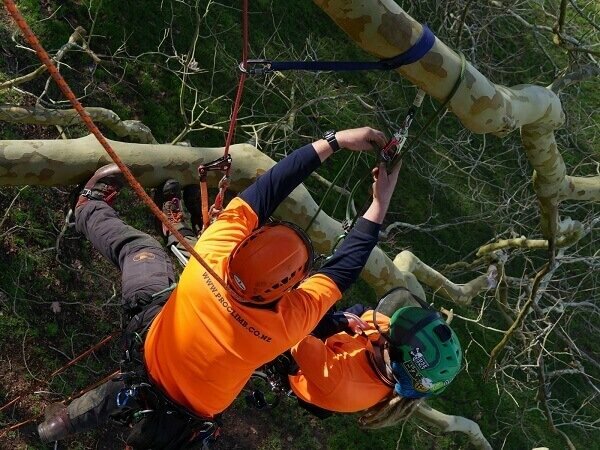 Before starting the saw and removing any material, check that any components connected to the climber (climbing ropes, strops etc.) are placed in a ‘safe position’ away from the risks of entanglement or damage. Check for correct positioning of any rigging or lowering systems that may be in use. Be vigilant throughout all aspects of the operation. When sectional felling (‘topping down’) stems a minimum of two attachment/anchor points should be used. Remember that accidents do not only happen to the inexperienced – the time served professional are also vulnerable. Adherence to the key fundamentals learned in training (and highlighted in industry publications) will significantly reduce the risks of accidents. Make sure you have like our Facebook page and we’d love a review on our Google Maps page. Climb Safe! Rossy and the Pro Climb Team. Give Pro Climb a Business Review!